Trevira and Imat-uve have together achieved a milestone in textiles design, with the introduction of 3D flat knitting technology for automotive interiors. Trevira GmbH is an innovative European manufacturer of high-value branded fibres and filament yarns. Imat-uve is an engineering company and a strategic partner of the textile and automotive industry. 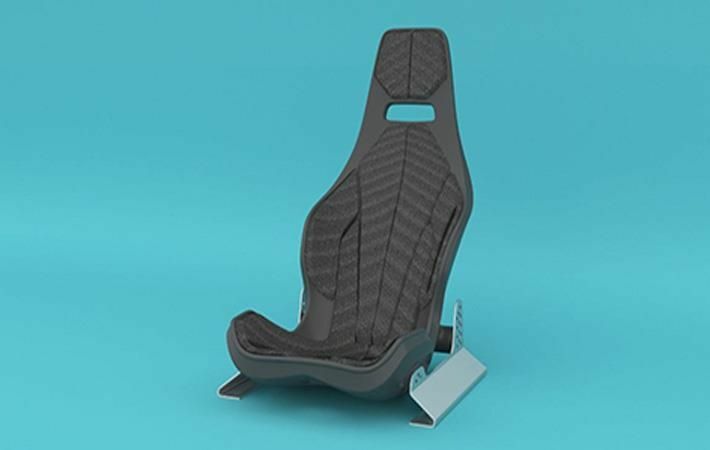 In a jointly developed process that unites innovative yarn technologies with cutting-edge connection and finishing techniques, Trevira and Imat-uve have found a way of producing anatomically contoured seat covers and trim components for vehicle interiors. Because the technology uses just one knitting process rather than several, manufacturers can reduce their production and materials costs, as it’s no longer necessary to cut and assemble the fabrics. But the new invention is not just cost-effective – the flat knitting technique means that it’s now possible to personalise design and function to a much greater degree, representing another important step in the direction of on-demand production. Trevira and Imat-uve are the first companies to develop such a sophisticated application of the knitting process for use in vehicles, thanks to Imat-uve’s innovative processing and finishing technique which deploys a low-melt yarn specifically developed by Trevira. The collaboration has resulted in a high-performing knitted product which satisfies even the most demanding criteria in terms of quality and comfort. The VDA 230-210 standard velcro test carried out by Imat’s testing laboratory found that the product was extremely abrasion resistant. The 3D flat knitting technology even means that areas known to be vulnerable, such as the seams on seat covers, can be strengthened in the course of the same single knitting process. Another benefit of the technology is its contribution to sustainable manufacturing. Not only does it work on the zero waste principle, but the knitted fabric itself is manufactured entirely from yarn made from PES recyclates.